MUJI offers a surprisingly large selection of food/snack items in Japan. People love them because they are uniquely tasty and very affordable. Imagine them as minimalistic Trader Joe’s food products: authentic, visually pleasing, palatable, and hard to find anywhere else. They also embrace organic, naturally/minimally-processed or traditionally crafted food, as long as the prices don’t become prohibitively high. While both brands bring joy to your everyday life, the biggest difference between TJ’s and MUJI might be the product size. Products at TJ’s products are often large enough to feed a family or a party whereas MUJI food items are primarily tailored to offer single small-to-medium meals for one person. They typically cost less than $5, and each package weighs ½ lb. or less. MUJI aims to improve “quick meals only for yourself,” which are often less tasty based on the assumption that people eating alone would rather sacrifice taste in order to save time, energy or money when no one else is watching. MUJI reminds us that the meals you eat on your own are actually the most important eating experiences and worth upgrading. You cannot underestimate how a small yet delightfully tasty meal can light up your hectic day. And MUJI says you can do it without spending energy, time or too much money. Food and the act of eating can comfort you in many ways, but one of the most soothing experiences come from smelling a deeply pleasing aroma which is directly connected to flavor. (According to aromatherapy, the sense of smell is linked to the deepest parts of the brain governed by your basic instincts, thoughts and emotions). 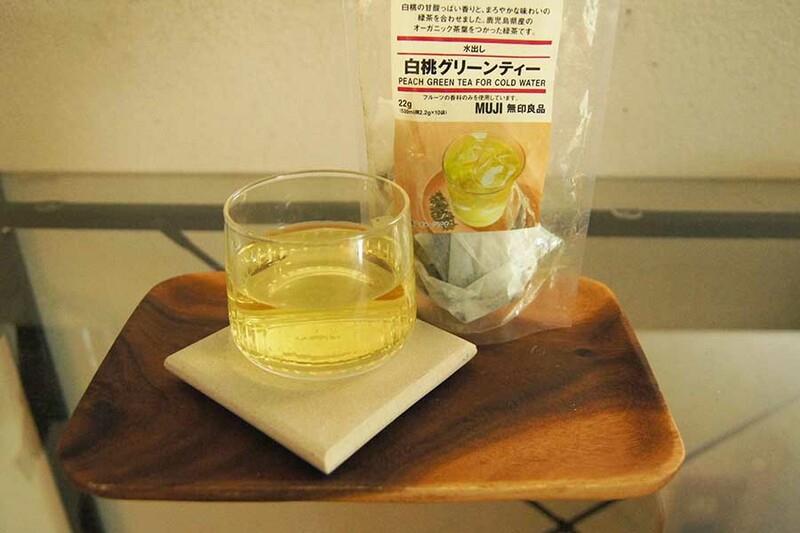 MUJI foods are all about aroma and flavors. They deliver delight to your taste buds and other sensory organs, which are instantly relaxing no matter where you are and what you have been doing. 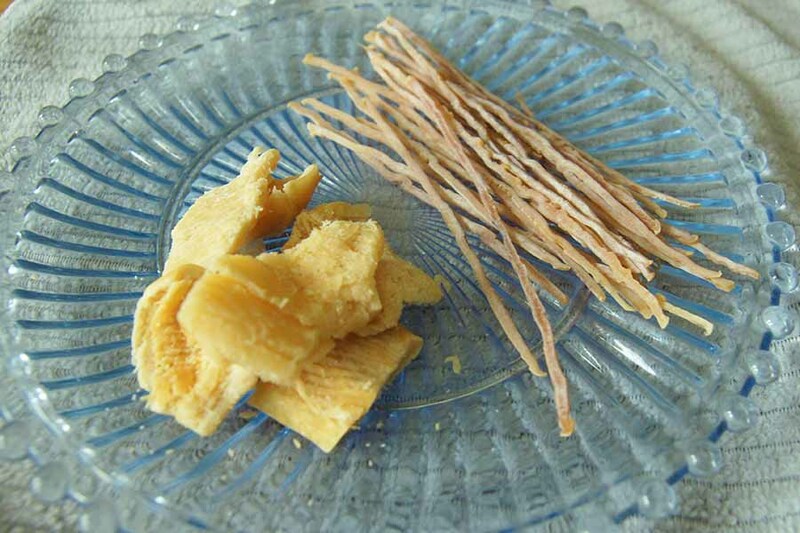 And you will find tons of unique “umami” aroma/flavors in MUJI foods which is the fifth flavor (after saltiness, sweetness, bitterness and sourness) discovered by Japanese. 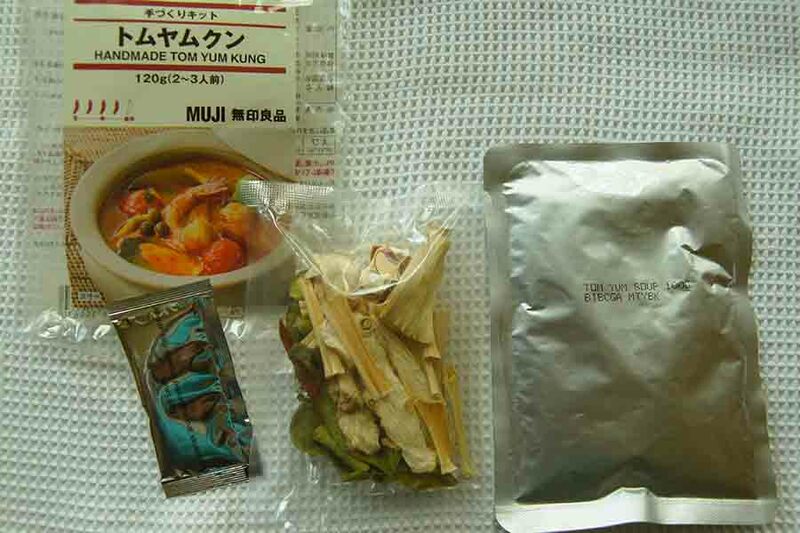 If you were wondering what umami actually “tastes” like, try some of MUJI’s Japanese food. You will know exactly what it is. MUJI doesn’t offer perishable food, and most items are packaged for a long shelf life at a room temperature. One of their common packaging methods is “retort,” a very popular solution in Japan but probably not so much in other countries. (At least I don’t see it very often in the US). “Retort” means sealed pouch, usually made of a laminate of flexible plastic and metal foils. They are suitable to pack relatively small amounts of pre-cooked meals, especially soupy ones. 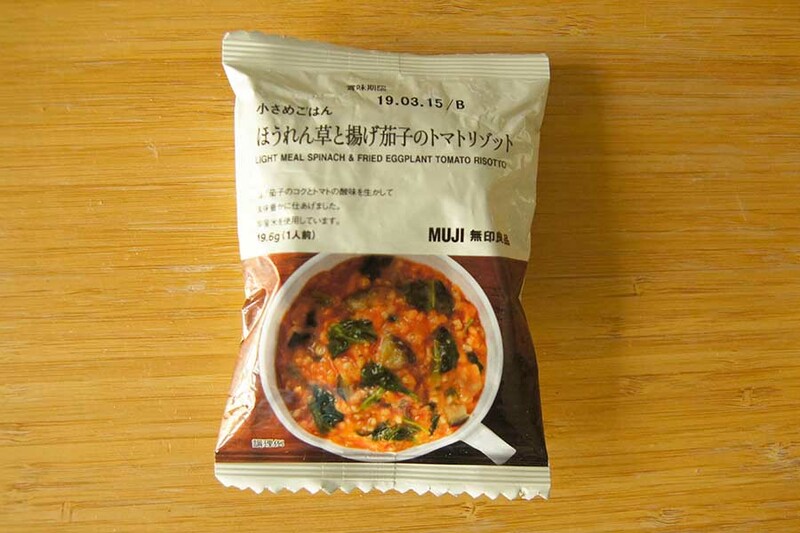 MUJI’s most popular “retort” items are curry and pasta sauces that already include ingredients such as vegetables, meat or seafood. All you have to do is to prepare rice or pasta, and warm the sauce by putting the pouch in boiling water (but do not microwave). As you mix the two, you’ll have a Northern India-style chicken curry or an Italian fettuccine with porcini cream sauce in no time. Just like Trader Joe’s, MUJI never mistakes what authentic means for each regional food they offer. Curry or pasta, they taste real. While curry/pasta sauces are ready-to-eat, some “retort” items are packaged in a way you can enjoy finishing the process. 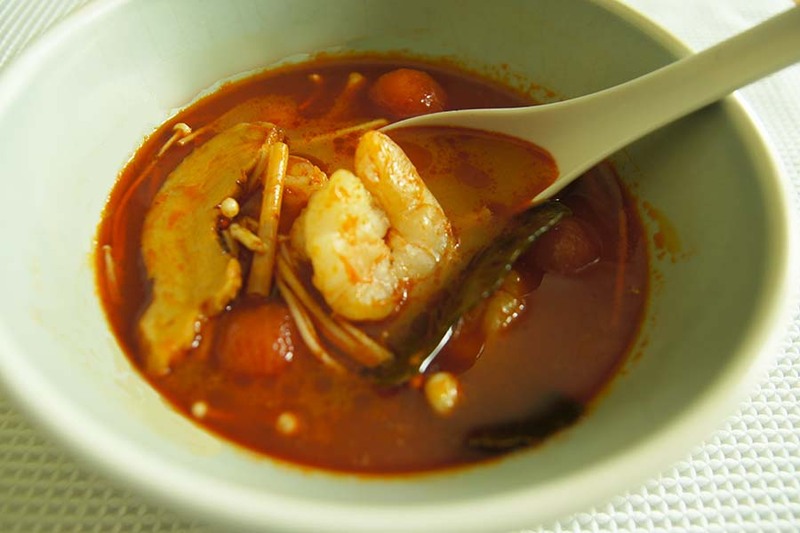 This Tom Yum Kung soup asks you to 1) bring packaged herbs to boil, 2) add sauce, shrimps, other ingredients of your choice, a small amount of sugar and milk, and 3) add fish sauce (from a small packet). It’s fun to see and smell those exotic herbs, and feel that tangy aroma start filling your kitchen. It takes less than 10 minutes to prepare, but the flavor is amazing. Authentic Tom Yum Kung soup for less than $3 is nothing but a steal. If you are like me and don’t know how to use exotic herbs/spices such as lemon grass or kaffir lime leaves, but still love spicy Southeastern Asian food, this dish is for you. MUJI offers great Italian, Indian and other international foods, but is also enthusiastic about traditional roots. 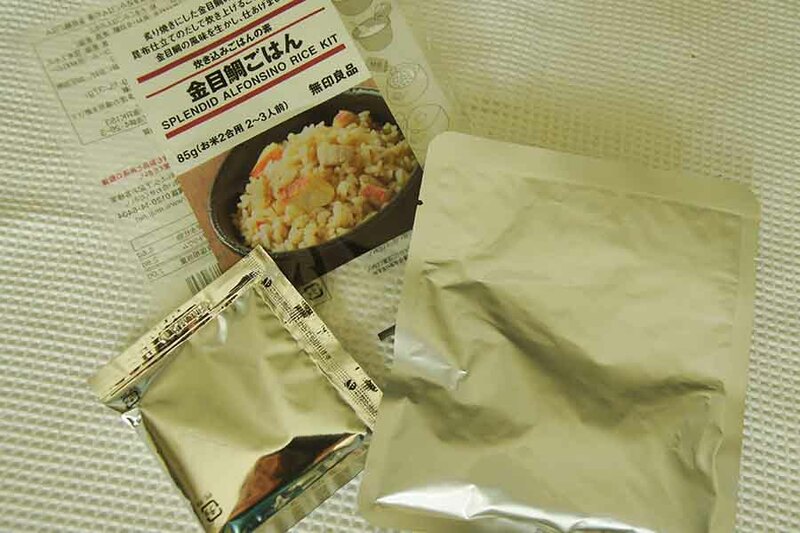 One of the popular Japanese meal offerings is a variety of 炊き込みご飯 (takikomi gohan) packets. “Gohan” means rice, and “takikomi” means “cook altogether.” So you just have to mix the packet contents with rice, and cook them together. 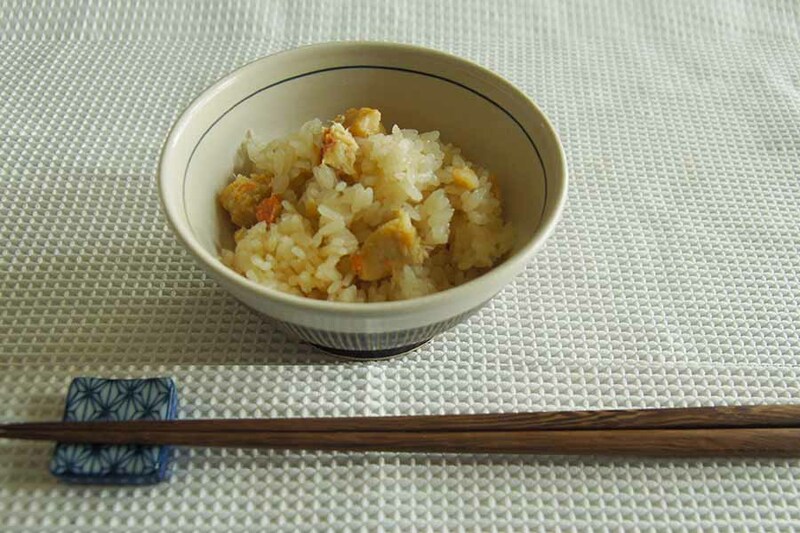 This particular flavor is all about umami, as it combines tai fish (red snapper) and traditional broth, which probably used seaweed, seafood, soy sauce, cooking sake and mirin. Such a warm, soothing aroma. If you are not used to seafood-based umami, you may feel that it smells too fishy but tastes bland. But it’s only because your taste buds need a little calibration and training to detect/appreciate it. 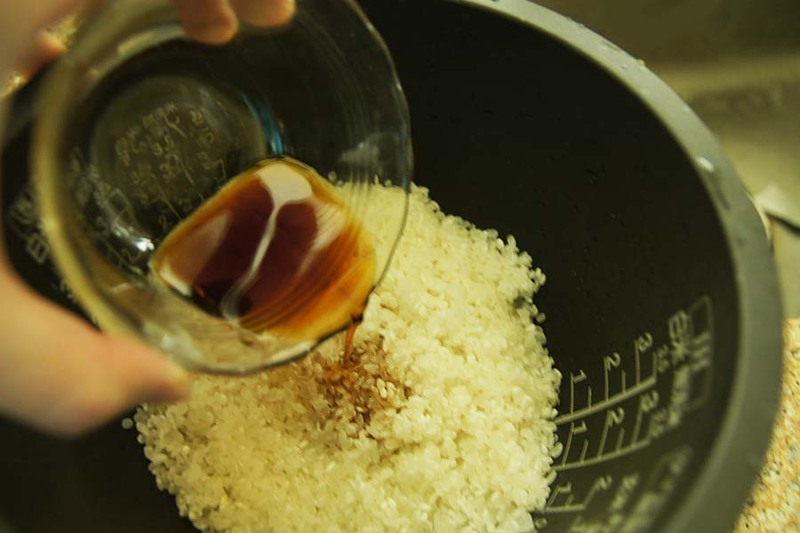 Once “umami” awakens and activates your taste buds, you will be soaked in its subtle but deep, gentle flavors. Umami therapy, instead of aromatherapy. “Freeze dry” is another food packaging method widely used in Japan, but maybe not so much in other countries. 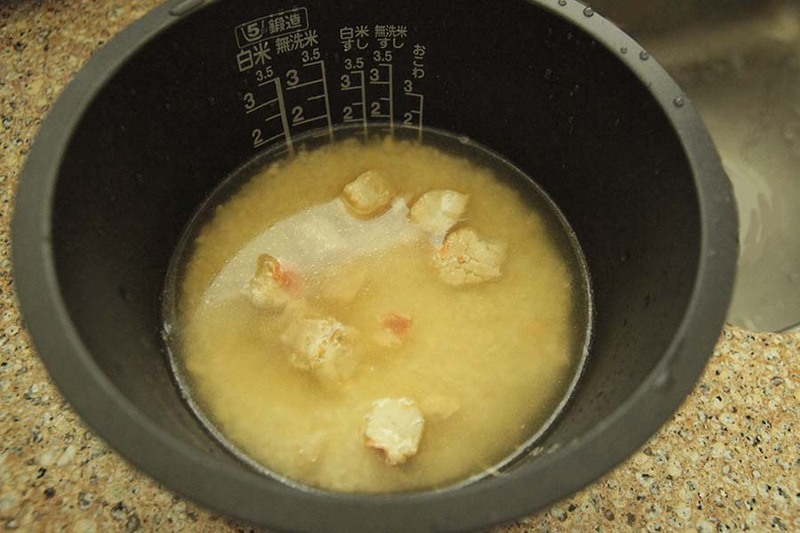 The ingredients are frozen at a very low temperature, and that drastically shrinks them by promoting sublimation through which removes water from the food. While I do see many dried fruit products that seem to use the freeze dry method in US, Japanese use it extensively for soupy meals – yes, Japanese love warm, moist and watery food (it’s where instant ramen came from). MUJI freeze dry items are very compact and light (many of the packages are less than 4 inches), so they are good to eat on-the-go, if you can find hot water at your destination, such as your workplace or hotel room. Whenever you are slightly hungry, put a packet in your mug, pour hot water and stir. You don’t even have to wait for 3 minutes like ramen. A flavorful soup variety – the freeze dry method seems to preserve flavors very well – is ready with no wait time. The Japanese often say “my small tummy is empty.” It means that you are slightly hungry and craving for something just small. Maybe smaller than a “lunner.” MUJI’s “小さめごはん” varieties – meaning “smallish meal” – are just right to satisfy those small tummies. Just put it in your mug, pour in hot water, and you will have smallish but delicious porridge and risotto without worrying about ruining your lunch or dinner. 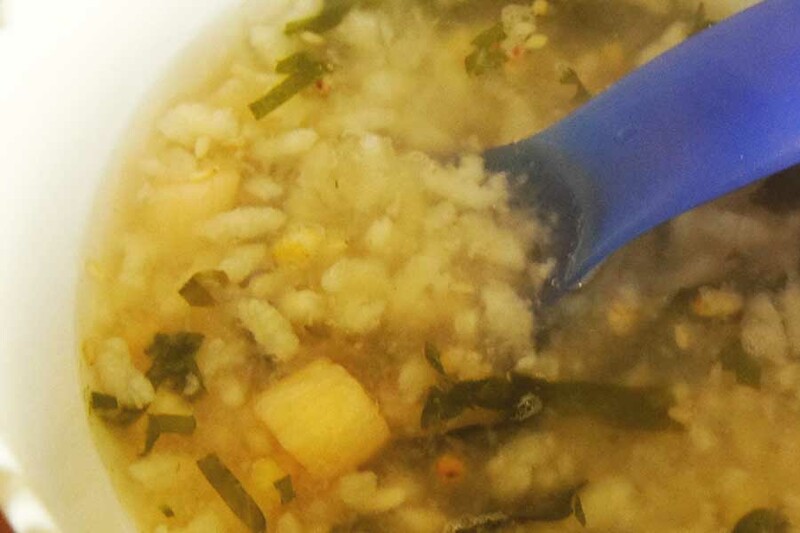 This zosui – Japanese rice porridge – is another umami delight. 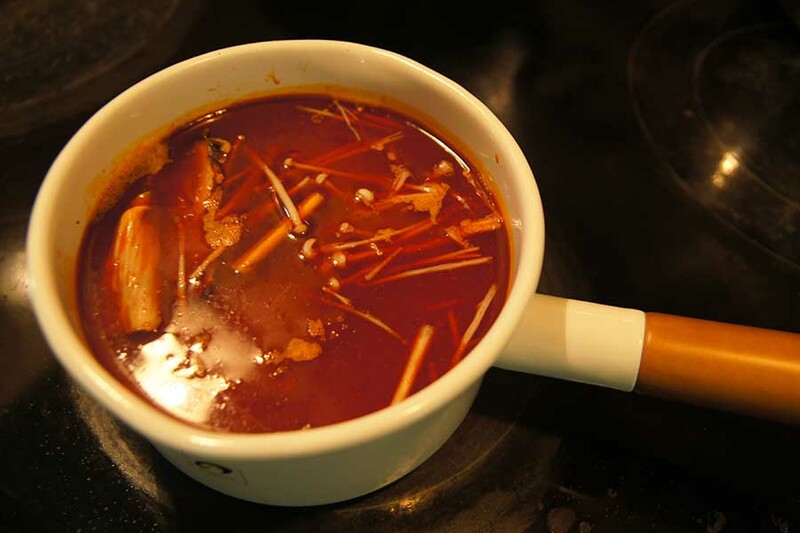 The “adductor muscles” of shellfish which define the taste provide one of the most flavorful broths in Asian cuisine. Blended with sour plum and seaweed, you will enjoy the delicate balance of combined umami flavors. 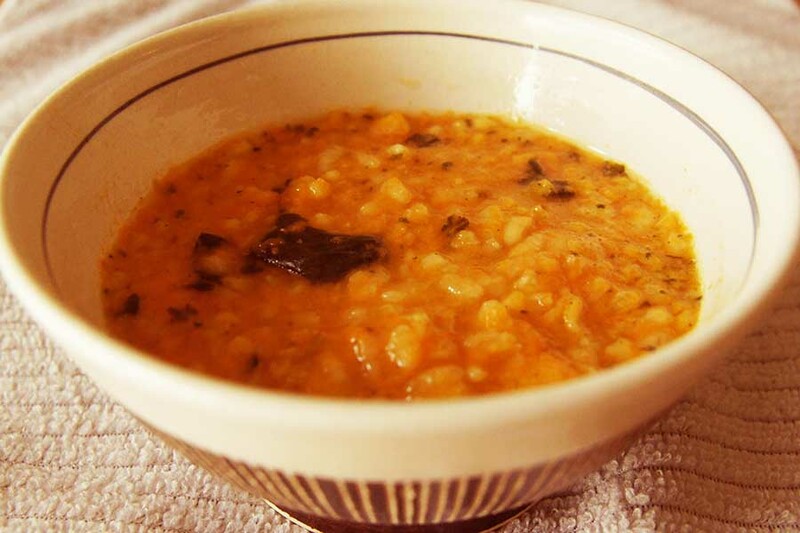 Soupy rice can also be enjoyed in an Italian-style risotto. You will be amazed how this package preserves the delicate scent/flavor of cheese (I think it’s Parmesan). They are just right and do not overpower the flavors coming from tomato and other vegetables. MUJI snacks are really popular in Japan, partly because they used to be sold at convenience stores everywhere. They are packaged in small amounts (thank goodness, or you would be tempted to overeat them) and offered at very affordable prices (such as $1). 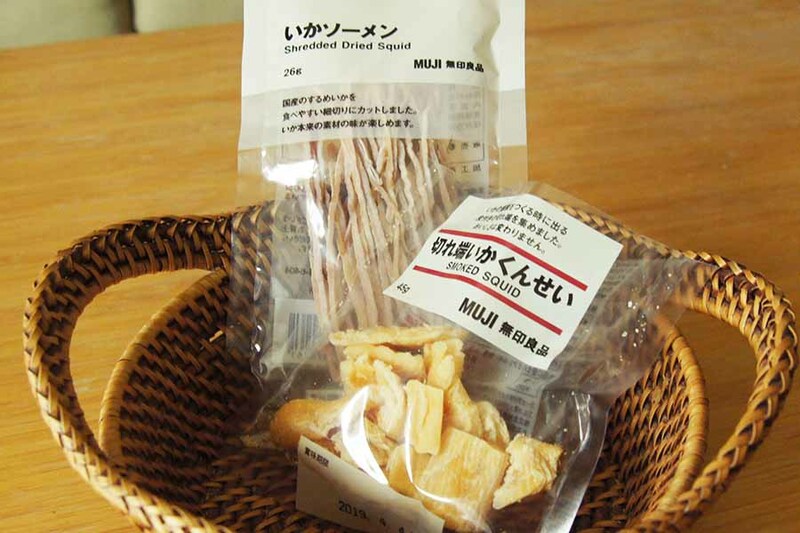 In addition to flavors, MUJI snacks also enjoy signature textures – crispy, crunchy, spongy, chewy, you name it. With great texture and flavors, you don’t need to rely too much on sweetness, saltiness, greasiness or spiciness for enjoyment. Naturally delightful. 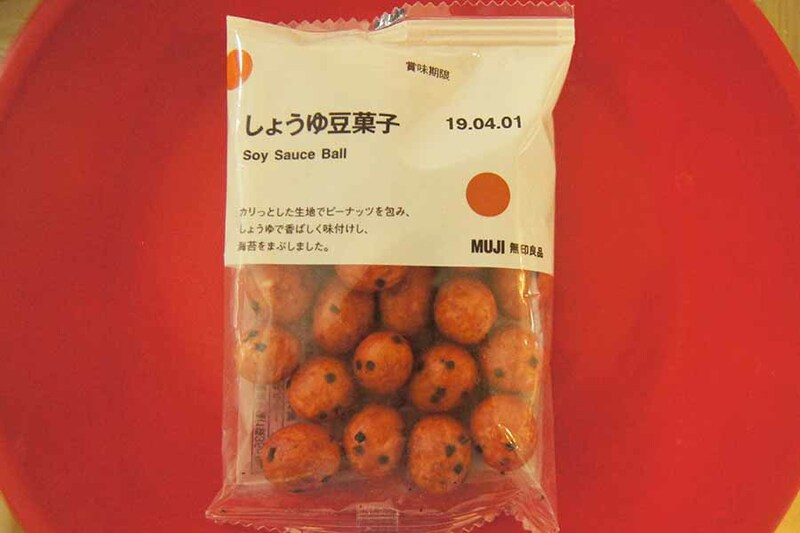 Soy sauce balls are one of the “pochi-gashi” (“itty-bitty” snack pack) varieties that are offered at about $1. Designed to be small but special so that you can use them as gifts at events and/or parties where a lot of people gather, they look pretty but taste great. These soy sauce balls are traditional and really good. Very crunchy outside, blending perfectly with a peanut hiding inside. And the caramelized soy sauce will make you smile. Traditional and authentic. Period. Why not. Walnuts are pretty thickly covered with maccha milk chocolate. They are good, but some American nut products are also very good, so I am giving it three stars. Smelly or not smelly, that is the question. 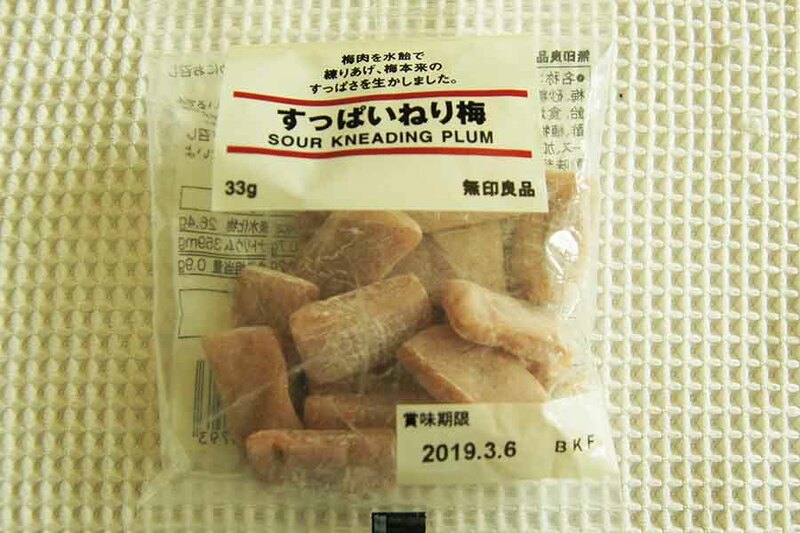 Another deeply traditional Japanese food MUJI loves is 梅干し (pronounced “umeboshi,” they are sour plums that have been dried, pickled and fermented.) 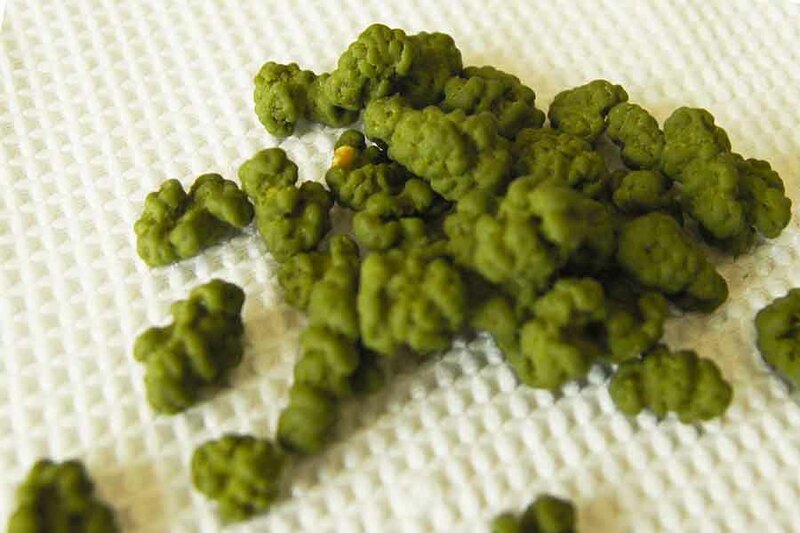 They are super sour if you eat them as is, but there are a variety of meals that incorporate umeboshi. People love their tangy, pungent flavors and eat them as a digestive aid or energy booster. They are also used extensively in sushi varieties. 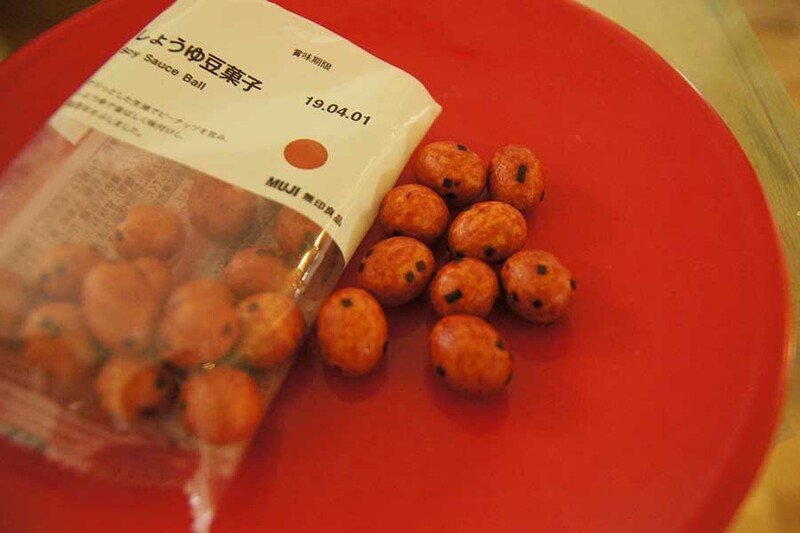 This umeboshi snack is like chewing gum with a sour flavor. Maybe a traditional Japanese/natural version of sour gummies? If you seek rich aromas, you cannot skip tea. MUJI offers a variety of teas, mostly Asian-style herb teas, green teas, and original blends that mix different grains, oats or brans. When aroma and flavor are the key, you don’t add sugar. Enjoy the subtle, delicate, fruity, earthy, grassy or nutty flavors. Japanese green tea is probably one of the least popular Japanese food overseas – except for maccha (which is kind of misunderstood). For example, green tea almost always accompanies sushi in Japan, but this rarely happens in other countries. 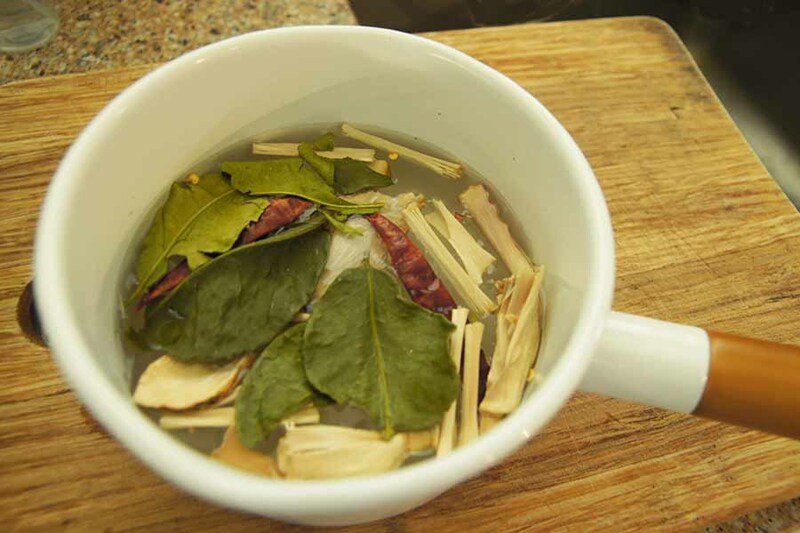 It’s probably because it’s difficult to get high quality green tea (and quality greatly matters for tea) outside Japan, and also it requires some knowledge to brew/enjoy green tea in a proper way. But luckily, MUJI offers some cold brew green tea with fruit flavors. 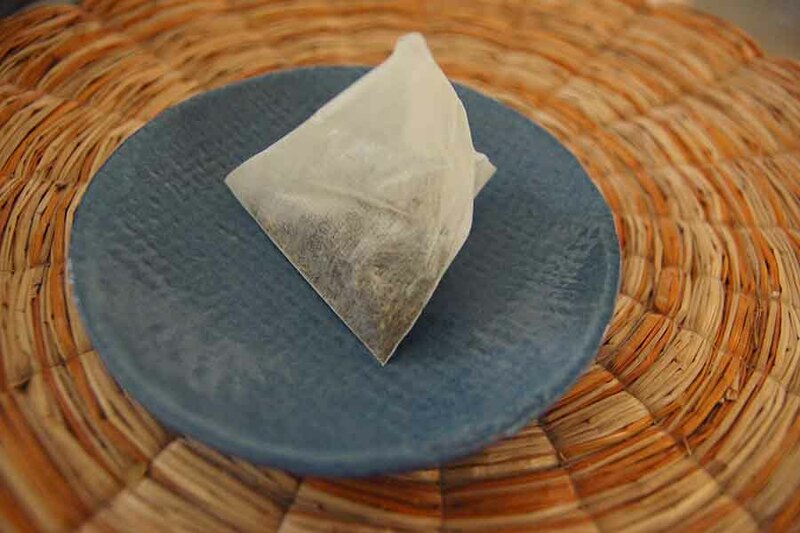 You just have to put a teabag in water, let it sit for a couple of hours to have aroma-rich green tea. This one is very peachy. 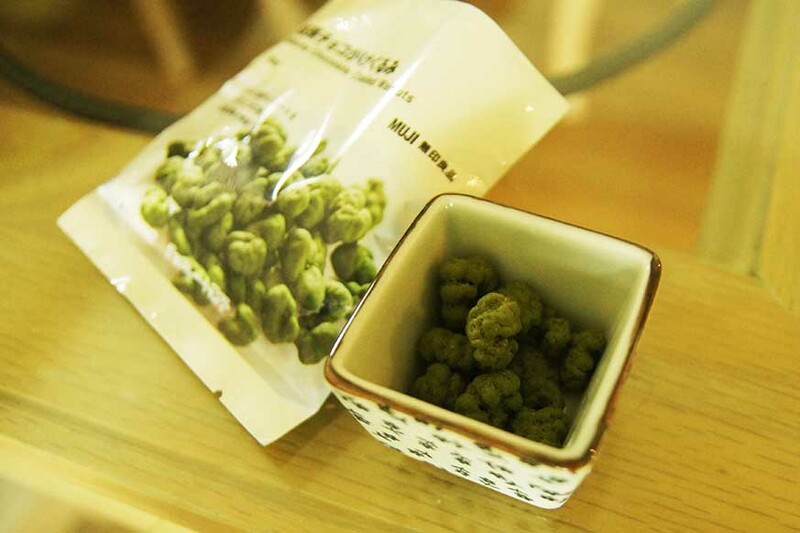 This one would be good for green tea beginners because it has a very distinct peach flavor. The sweet scent will help your early encounters with green tea, which may taste “tasteless” if your taste buds are not calibrated for it. One of the first items MUJI introduced in early 80’s (MUJI was founded in 1980) that helped define its philosophy was cosmetically challenged dried shiitake. Dried shiitake has been extensively used in traditional Japanese food as broth, but it’s expensive. So MUJI challenged the industry standard and started selling cosmetically inferior – uneven, non-uniform, broken – shiitake at substantially lower prices. Customers welcomed the decision. 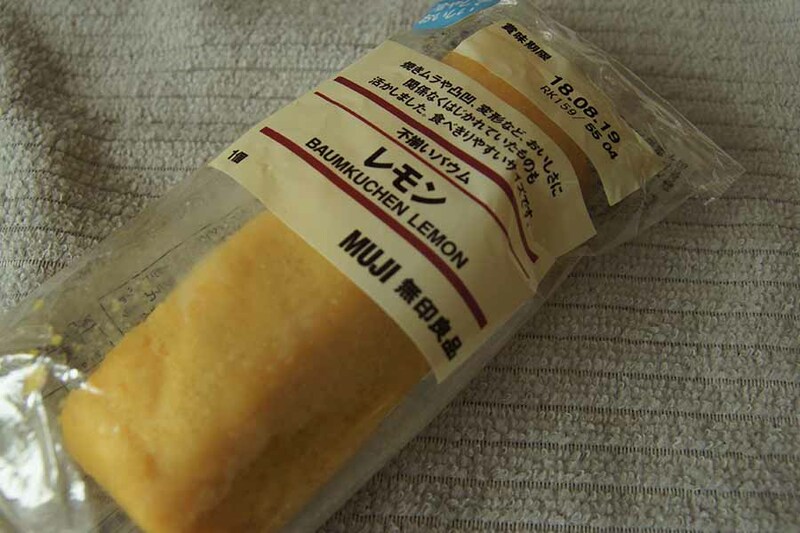 MUJI continues the tradition to this day, and sell a variety of cosmetically challenged food – unused remainders, uneven or broken pieces – as long as they don’t affect quality and help minimize waste. And at lower prices. 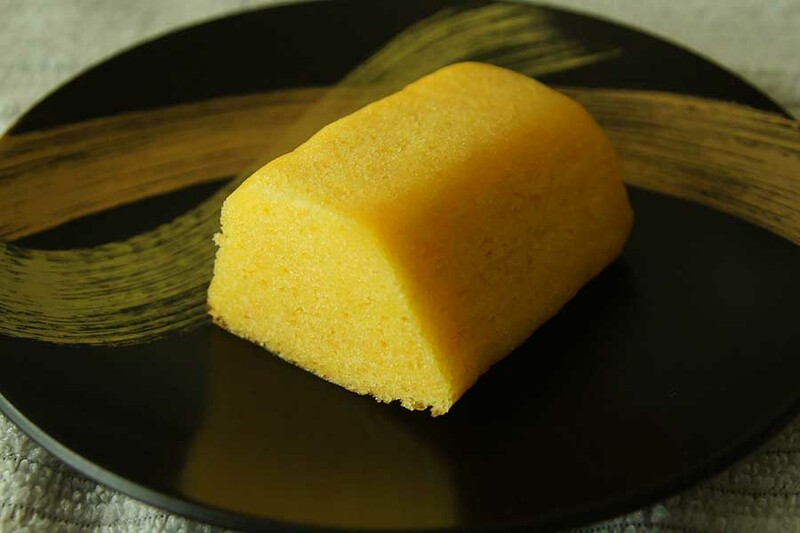 Baumkuchen is a traditional German variety of labor/skill-intensive spit cake, but somehow it became very popular in Japan – people offer it as a gift on special occasions. But because it’s made of many thin layers of batter, it’s prone to defects. So here comes MUJI to the rescuing and selling them in smaller pieces – in three bite sizes. Although many sweets currently made in Japan came from other countries, Japanese tweaks them in the way they like: they are usually moist, soft, less dense and much less sweet, and use fewer artificial colors/frosting. 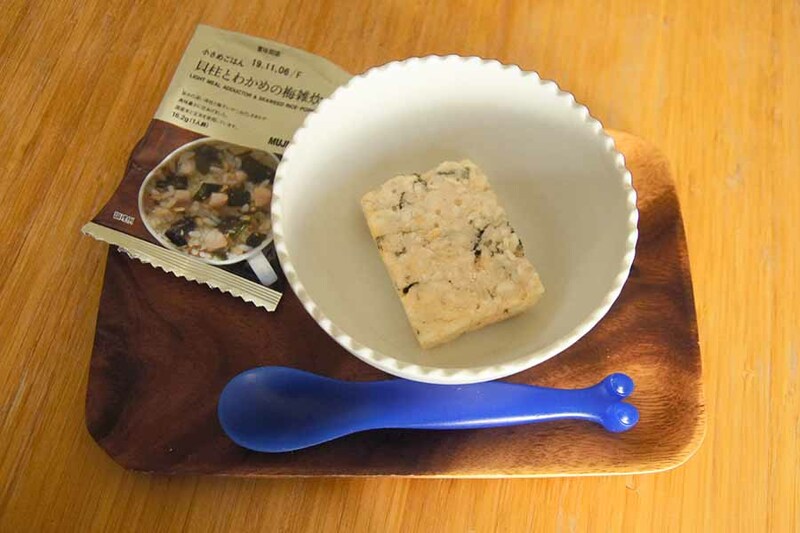 One of MUJI’s first food items was dried shiitake, and it was because dried foods are prone to breakage. 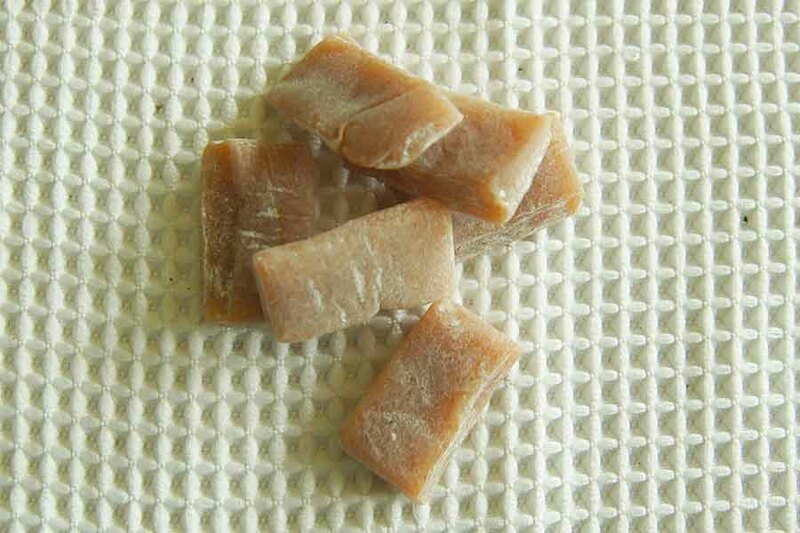 As MUJI offers many dried squid items, they also offer broken bits and pieces of them.